Forman Christian College has always focused upon the importance of public speaking and that is one of the reasons which has honored our Forman Debating Society (FDS) to actively take part in all debating completions around Pakistan and end up getting laurels for FCC and make themselves proud of being a Formanite . 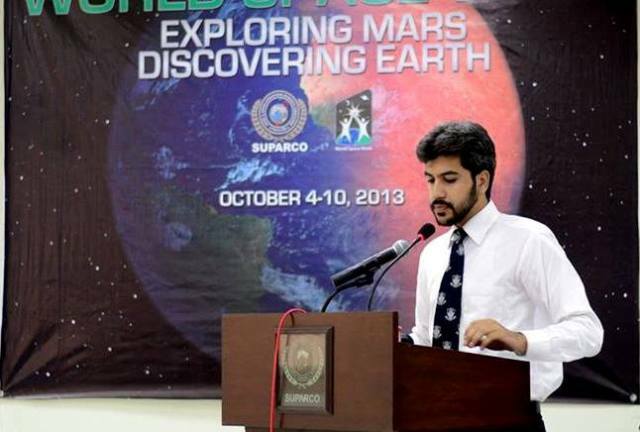 Recently our speakers went on to speak at the All Pakistan University Bilingual Declamation Contest organized by Pakistan Space and Upper Atmosphere Research Commission (SUPARCO) which is responsible for the research in space and upper atmosphere. 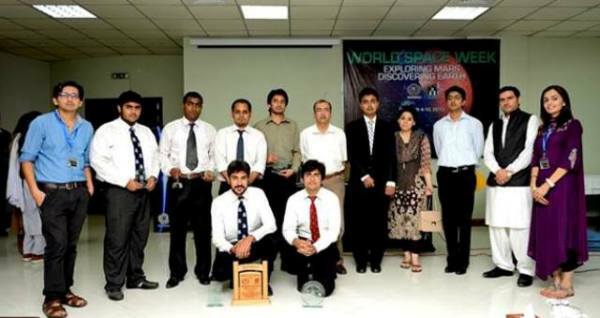 This declamation competition was organized to celebrate the World Space Week 2013. More than 25 teams from all over Pakistan took part in this event and all speakers tried their level best to end up on the winning end. The President of FDS Momin Niazi won second position in English category while Hamza Mustafa secured second in Urdu. Overall Forman Christian College also won the team trophy. Our winning speakers were awarded telescopes as an award. The event was covered by City42 and 5 News.